Use assessment, education, and support to create informed healthcare consumers. Changes in technological advances have created both challenges and opportunities for nurses and patients. A patient’s level of eHealth literacy may reflect his or her ability to find, analyze, and use online health information. Nurses can use a comprehensive approach to help patients become informed consumers of online health information. Patient care across all settings, including inpatient and outpatient areas, has transitioned from being provider-centered to patient-centered. In keeping with this shift, the Institute of Medicine (IOM) supports this shift to patient-centered care and suggests that organizations routinely assess and incorporate individual patient preferences, needs, and values in the clinical decision-making process. With the growing development of communication technologies, nurses must consider how internet-retrieved health information and electronic health (eHealth) literacy may shape patients’ beliefs and influence healthcare decisions and outcomes. This article discusses a three-pronged approach nurses can use to assist patients in becoming informed consumers of health content they find online. The proliferation of mobile devices makes health-related information retrieval from the internet easier than ever before. The IOM estimates that over 80% of U.S. internet users have looked online for health information, and a study by Health Union reports that 73% of internet users claim that health information retrieved online has impacted their healthcare decisions. The most popular search terms used by healthcare consumers relate to general health information about specific diseases and treatments. They use search engines (Google), specialized websites (WebMD), general websites (Wikipedia), and social network platforms (Facebook, Twitter, blogs) to gather health information. These avenues allow patients to edit, comment, create, and share content with other users. One in four U.S. internet users follow someone else’s health experience online; for some patients, this is beneficial. However, technologic advances have created challenges for nurses and other healthcare providers. For example, some patients who aren’t sure where to find accurate information find and use inaccurate content to make healthcare decisions, or they find accurate information but aren’t able to evaluate and use it appropriately. Patients need to possess essential skills to appropriately locate, critically analyze, and effectively use online health information so they can successfully participate in their own healthcare and related decision-making processes. A patient’s level of eHealth literacy—the ability to seek, find, understand, and appraise health information from electronic resources and apply that knowledge to addressing or solving health problems—may reflect his or her abilityto find, analyze, and use online health information. However, eHealth literacy levels vary across patient populations. Higher levels of literacy are believed to support health-related decision-making and improve health-related outcomes, while low levels result in the inability to access, evaluate, and use online health information. Initiatives outlined by Healthy People 2020 support the need for nurses to address eHealth literacy during patient interactions. Strategies directed toward health communication and health information technology are encouraged to support the Healthy People 2020 goals of improving healthcare quality and safety, supporting care, facilitating healthcare decision-making, and building health skills and knowledge. However, for nurses to make a positive impact on eHealth literacy, they need to understand how to proactively leverage technology to promote informed consumers. Nurses should use a three-pronged approach—assessment, education, resources—during patient interactions to aid in developing their eHealth literacy. Do you know how to use your computer to explore online resources? Are you confident conducting computer searches? Do you search online for health-related information? What type of health-related information do you search for? 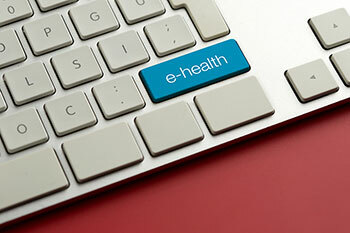 Which websites do you routinely visit for health-related information? Do you feel confident using the information for health-related decision-making? How have you used the information in making health decisions? Asking these assessment questions gives nurses an opportunity to quickly evaluate the patient’s ability to seek, find, understand, appraise, and apply the information retrieved. Who runs the website and are they considered an authority on the topic? What does the website say and is coverage of the content appropriate, descriptive, and complete? When was the information posted or reviewed and is it current? Providing education that directs patients to carefully evaluate online materials will help them judge the reliability of information they find. a list of credible websites for starting an internet search for health information (for example, medlineplus.gov, cdc.gov, healthfinder.gov, ahrq.gov). Resources support patients and help ensure that they use trusted and reliable online information. Patient involvement in clinical decision-making processes is a main tenant of patient-centered care. Changes in care delivery and technologic advances have created both challenges and opportunities for nurses and patients. The internet serves as a quick, accessible option for patients when searching for health information, so nurses must take a proactive approach that includes assessment, education, and resources to support the development of eHealth literacy. Increasing patients’ literacy across all healthcare settings may ultimately produce informed consumers and positively influence patient outcomes. Meigan Robb is an assistant professor of nursing, assistant director of nursing programs, and MSN program coordinator at Chatham University in Pittsburgh, Pennsylvania. Teresa Shellenbarger is distinguished professor and doctoral nursing program coordinator at Indiana University of Pennsylvania in Indiana, Pennsylvania. Furstrand D, Kayser L. Development of the eHealth literacy assessment toolkit, eHLA. Stud Health Technol Inform. 2015;216:971. Institute of Medicine, Committee on Quality of Health Care in America. Crossing the Quality Chasm: A New Health System for the 21stCentury. Washington, DC: The National Academies Press; 2001. Institute of Medicine, Board on Population Health and Public Health Practice, Roundtable on Health Literacy, HernandezLM.Health Literacy, eHealth, and Communication: Putting the Consumer First: Workshop Summary. Washington, DC: The National Academies Press; 2009. Lawhon L. New Health Union survey reveals importance of online health communities. June 15, 2016. Park H, Cormier E, Gordon G, Baeg JH. Identifying consumers’ ehealth literacy to decrease disparities in accessing ehealth Information. Comput Inform Nurs. 2016;34(2):71-6. U.S. Department of Health and Human Services. Health communication and health information technology. Yin HS, Jay M, Maness, L, Zabar S, Kalet A. Health literacy: An educational sensitive patient outcome. J Gen Intern Med.2015;30(9):1363-8.